Check out our deal we have available for all our guests at The Cove Yamba. Stay 4 nights and only pay for 3! What better time to book your getaway to the beautiful Yamba beachfront. Plus, Yamba has been named one of the Top 50 Whale Watching Spots on the east coast of NSW. 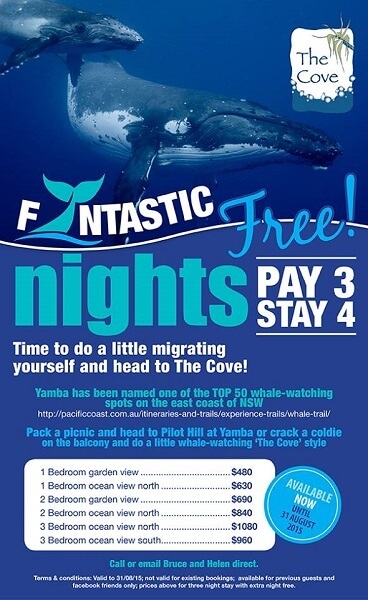 To take advantage of this offer, and do some whale-watching while you holiday.